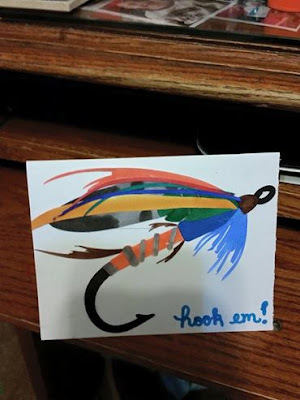 Shanna Said: The fly fishing card is seriously just awesome! Denice said: This card is enchanting in every way, right down to Maid Marion on the inside...an absolute stunning way to use so many different die-cuts and embellishments! Nick Said: The marbling effect makes this perfect masculine stamp to look even better. Great simple design that gives the stamp the perfect spotlight! 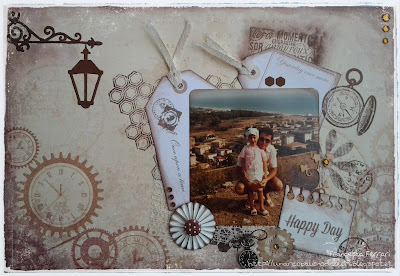 Blankina Said: such a cool image so well coloured and all the layered papers and reward poster...love it all. The perfect male card! Rebecca Said: What a fabulous layout. Love all the awesome details and dies! Just Beautiful! 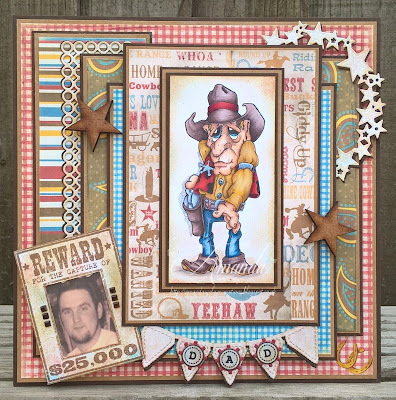 Holly Said: wow, fabulous die cuts and design, love the texture and the sentiment. Thank you so much for picking my Layout as one of your favorites! You made my day!!!! Thank you from the bottom of my heart!